Painted in the Moya Dyring Memorial Studio, Cité Internationale des Arts, Paris. Returning from Europe after the Second World War, Carl Plate developed a profile as one of Sydney’s leading art world figures. A painter and collagist, he also ran the Notanda Gallery, an exhibition space and bookstore that served as a pivotal location for introducing contemporary art to Australia from Europe and the United States. Inspired by encounters with Dada and Surrealist art and his travels through Europe and the Americas, Plate developed a style that was abstract, but with a dream-like undercurrent. He deployed colour to great effect, using a mostly reserved palette, though there are moments of vibrancy that attract the eye. At the same time, drawing was an integral component of Plate’s practice. “Colour,” he wrote in 1957, “although a joy to man’s soul, plays but a minor role in drawing, if it plays any role at all. The strength of drawing lies in its purity. Its purity makes it the most direct and personal of all forms of graphic expression.” This balance of opposites is a recurring feature in Plate’s work, which Bernard Smith felt “occupies a central, almost classical position between the linearists and the tonalists”. Carl Plate exhibited extensively throughout his life alongside running the Notanda Gallery. 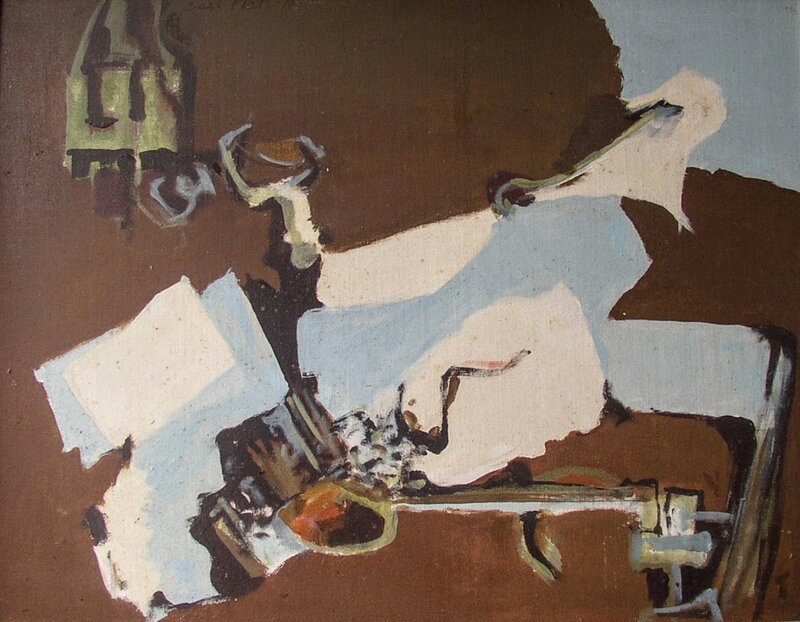 In 1961, he was one of the “Sydney 9” group of abstract artists, exhibiting alongside John Olsen and William Rose. In 2006-07, the Art Gallery of New South Wales exhibited examples of Plate’s works from their collection. In 2009, an exhibition of his prolific collage works, ‘Carl Plate: Collage, 1938-1976’ was staged at the Hazelhurst Regional Gallery and Arts Centre. His work is represented in state and national collections in Australia, and in private collections in Australia, Europe and the United States.